Precaution statement. 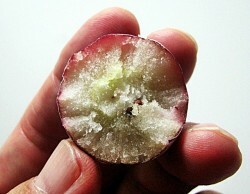 Among freezed piones, there are sometimes the one which its peel is cracked by the water expansion, and the one with seeds in it. Please understand beforehand. 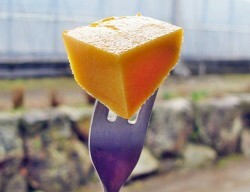 Each of mangoes and piones are sweet, too sweet. 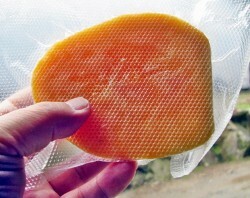 As for mangoes especially, they are milky sweet and thick sweet. If I use appropriate expression, gooey sweetness is awsome. You might be touched. And ingredient of sweetness is glittering. I think the expression of "glittering sweet" is appropriate. But everyone, do you know? 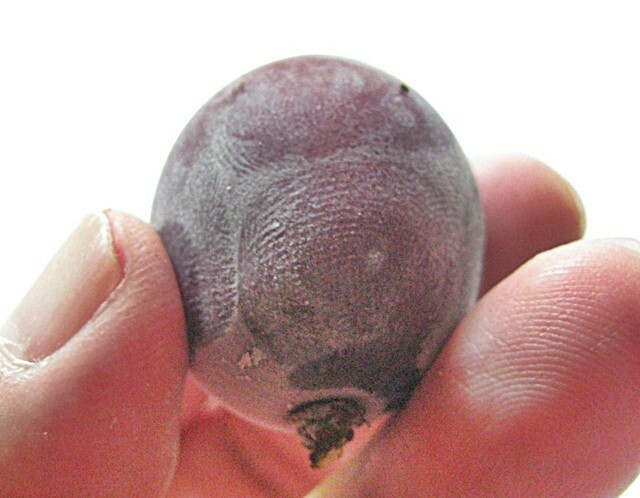 A mango is "anacardiaceous". A lacquer tree is, yes, a lacquer tree when we make lacquerwares. Therefore it is the fruit honey of the feeling to shine, indeed. A person who is weak for lacquer tree had better not to eat it. Because he or she would be itch after eating. Piones are open cultured. 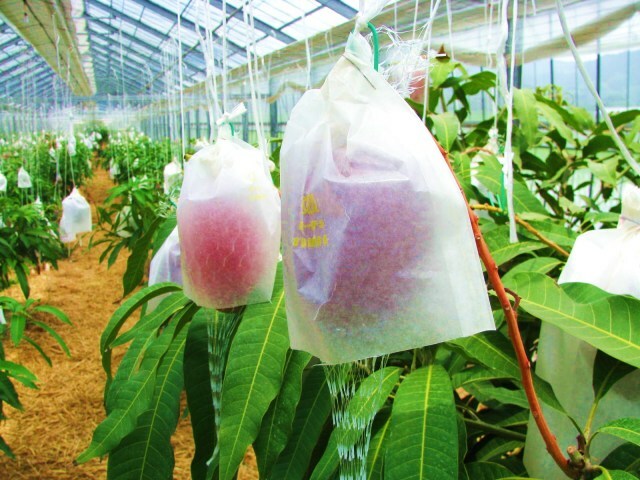 Mango is cultivated "in a thorough green house". Temperature, the humidity, a trick of the light, a sprinkling timing and quantity, counter measures against birds and beasts and thief. Everything are managed thoroughly. 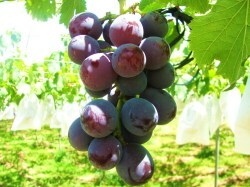 In addition, reduced pesticides cultivation. They never use artificial firtirizers. They use only organic composts. 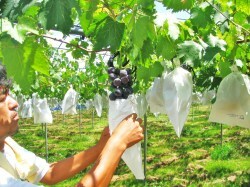 And they work with netting for preventing from natural falling down to the soil and with putting plastic bags over fruits for preventing from fruit's sun burned. Mr.Sakata's afection for mangoes don't stop. It is natural, too. 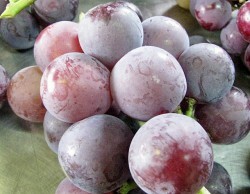 Here this is Fukuoka prefecture. 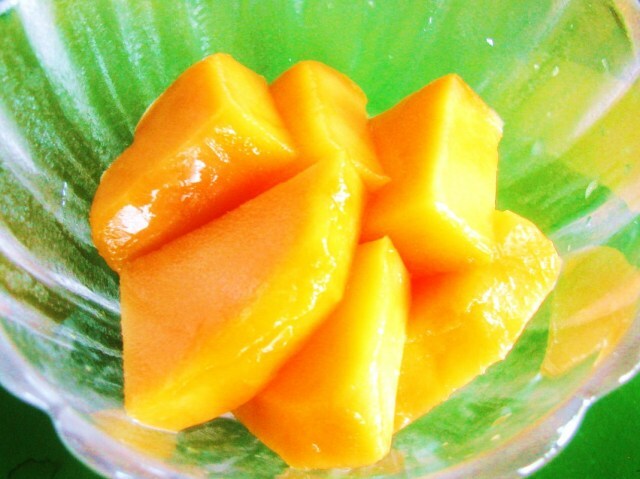 Although mango is a fruit which is also cultivated in Hokkaido, most of them are cultivated in Okinawa or Kagoshima or Miyazaki prefecture. 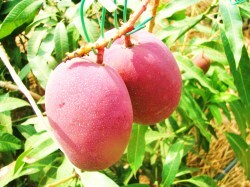 What should we do in order to make the mango which does not lose to those production areas? 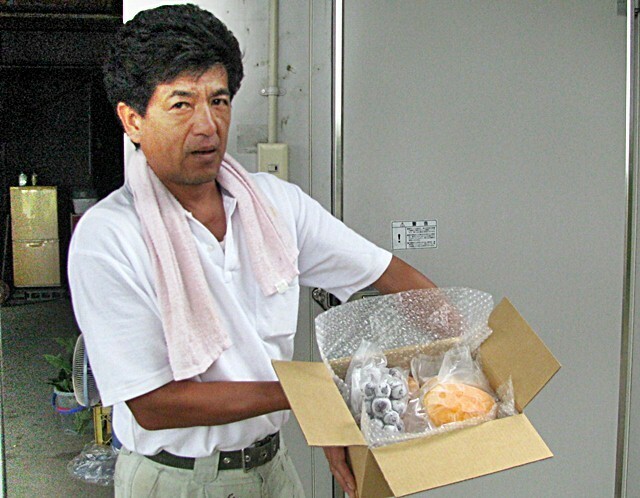 Mr.Sakata says that they just pour passion which is never beated by anywhere to mangoes. 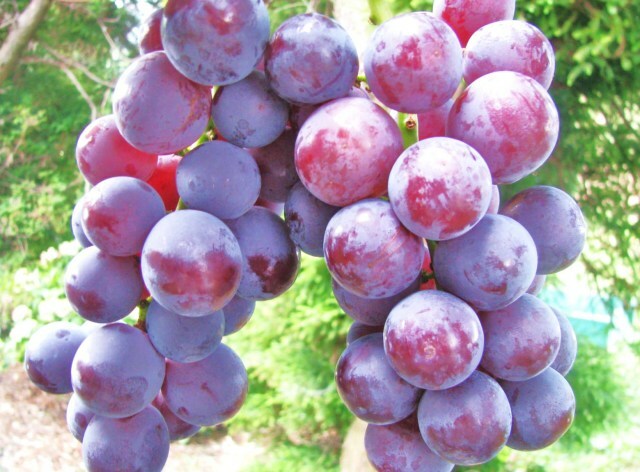 There are so many reasons that my company (Kyushu Brand Co.,Ltd.) want to its power into mostly. These are precious mangoes! 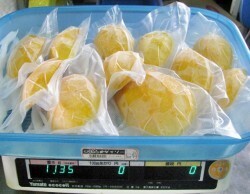 These are a set of freezed version of piones and mangoes which the most passion is poured in Japan. They are appropriate compliments for party or/and banquet as well as gift. Please have a shopping at this chance.